Over the past few weeks, a new and regular visitor has come into the lives of the those who spend time by the local river baths. 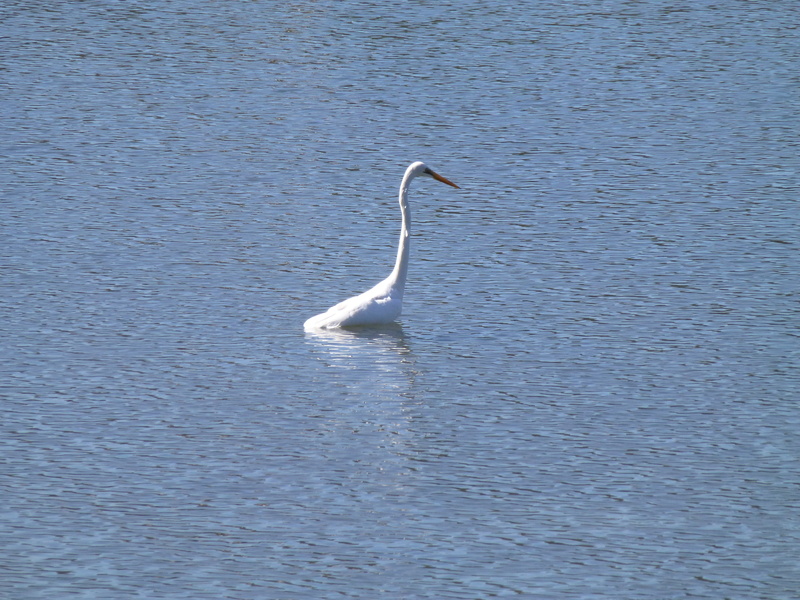 Most days it’s just one: a solitary Egret, white and magnificent. But today– Father’s Day–we were, albeit briefly, treated to two. Now and then an Egret visits our local swimming baths. On very rare occasions I see two or even three. 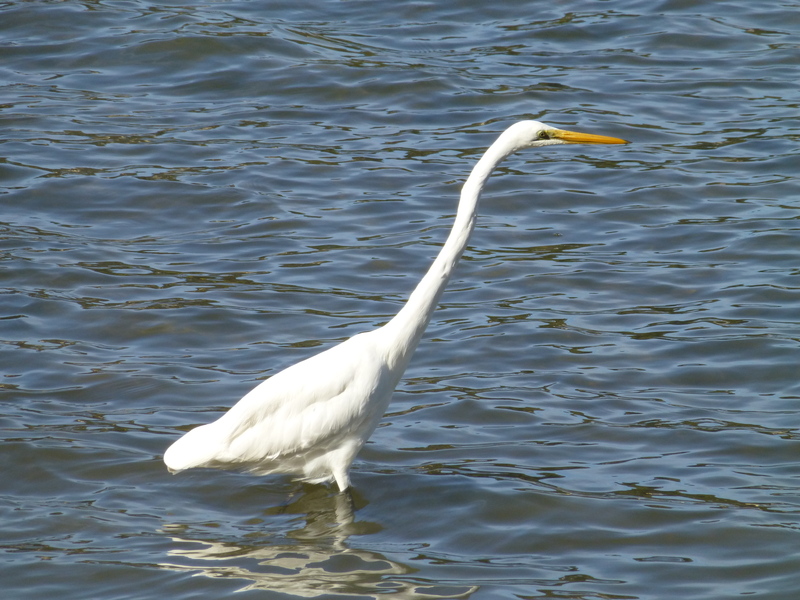 Here is a photograph of one of these beautiful white birds as it wades through rather choppy water. 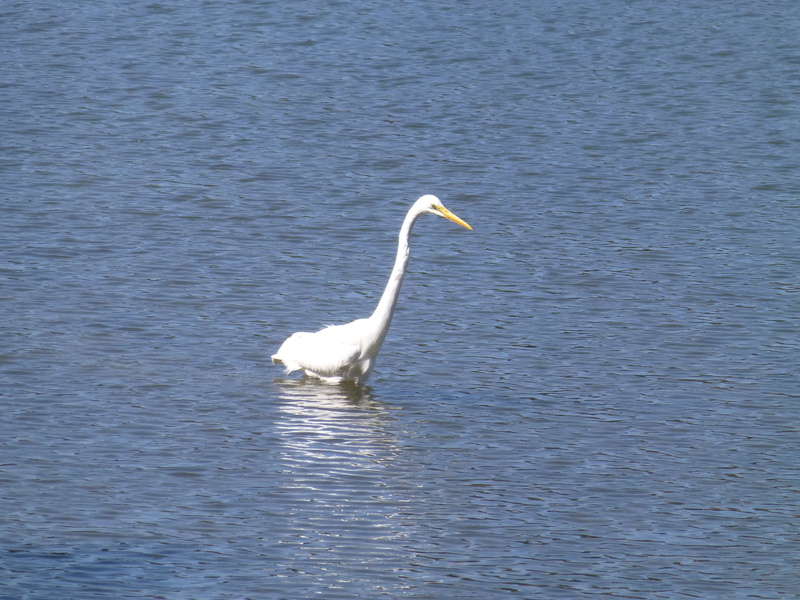 Quite a rare sights in the baths is the egret. An elegant, clean white bird, it is a very welcome sight. Unfortunately it’s a little camera-shy, and flies off at little provocation. However, I have been lucky enough to take some photos of it, and I hope that this one gives you pleasure. Some months ago I spotted a welcome visitor. A magnificent white bird had landed in our river baths. This seems to be a rare event, since I very seldom see one of these beauties even though I visit the area very often. Enjoy this beautiful Egret as it landed in suburban Sydney, N.S.W., Australia. Though it makes swimming more difficult, and sometimes even impossible, low tide has its attractions. There is a raw beauty in the exposed rocks, some studded with oyster shells. And something else: the graceful water birds often come to feed. 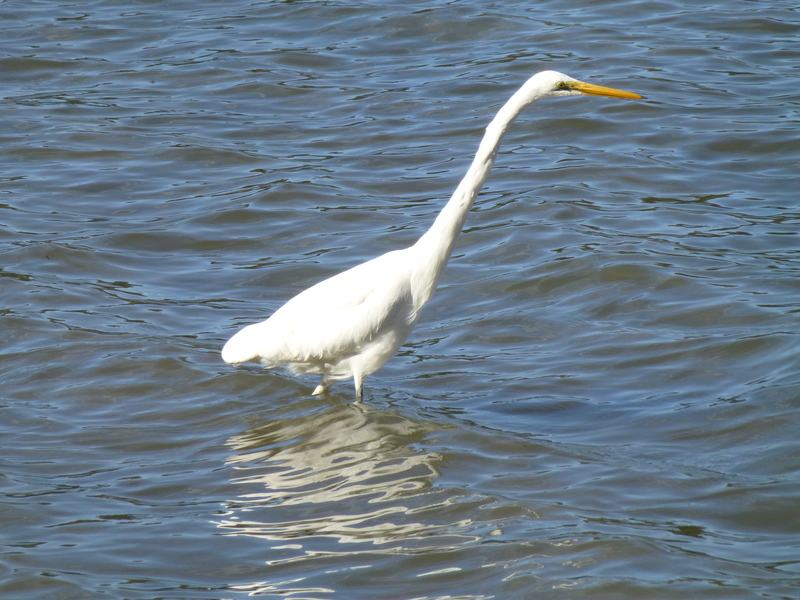 Some time ago, my visit to the river at low tide coincided with that of a beautiful, large white bird. 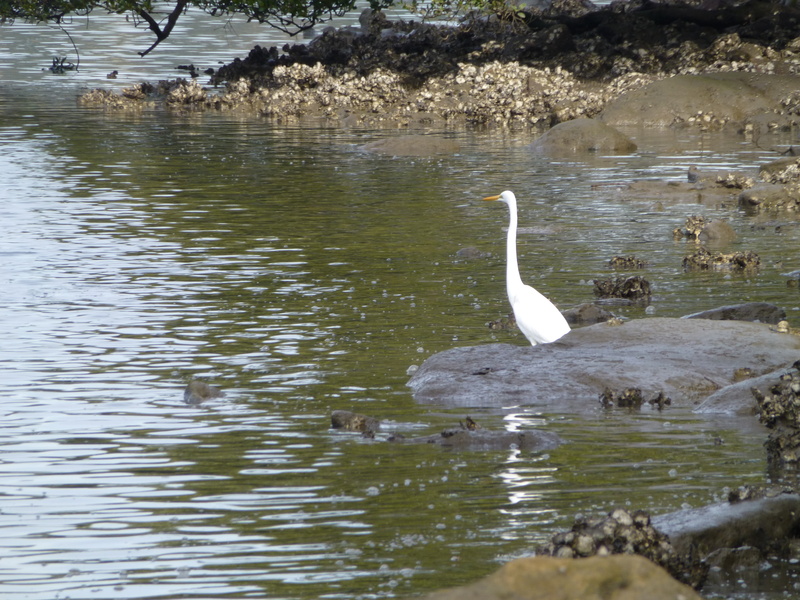 An egret had landed beside a very small, quiet beach: a favourite spot for Chicki and me to visit. Luckily, my camera was on hand!